Guilford of Maine has been the fabric of timeless style, legendary performance and unmatched quality. Inspired to do what’s right for our customers, the company draws on its rich history of weaving textiles to craft fine woven goods — and continuously reinvents itself as customers’ needs evolve. With a long-standing heritage of quality, Guilford of Maine is an iconic brand that has forever made its mark in the textile industry. Offering an elegant, handcrafted look, combined with the outstanding acoustic performance Guilford of Maine is renowned for, FR702™ and FR703™ will give everyone the inspiration to create cozy and inviting atmospheres — all while ensuring maximum comfort. They are the perfect complement to the legendary FR701®. FR702 features a handsome all-over texture created with small and large heathered yarns. With nine neutral colors, this natural-looking fabric blends perfectly with FR701 for all types of acoustic and panel designs. Featuring the same natural, handcrafted, wool-like look of our popular FR701 textile, FR703 distinguishes itself with a bolder new texture. Reminiscent of classic and sophisticated menswear woolen yarns, its three-dimensional grid structure is emphasized with a darker accent yarn. 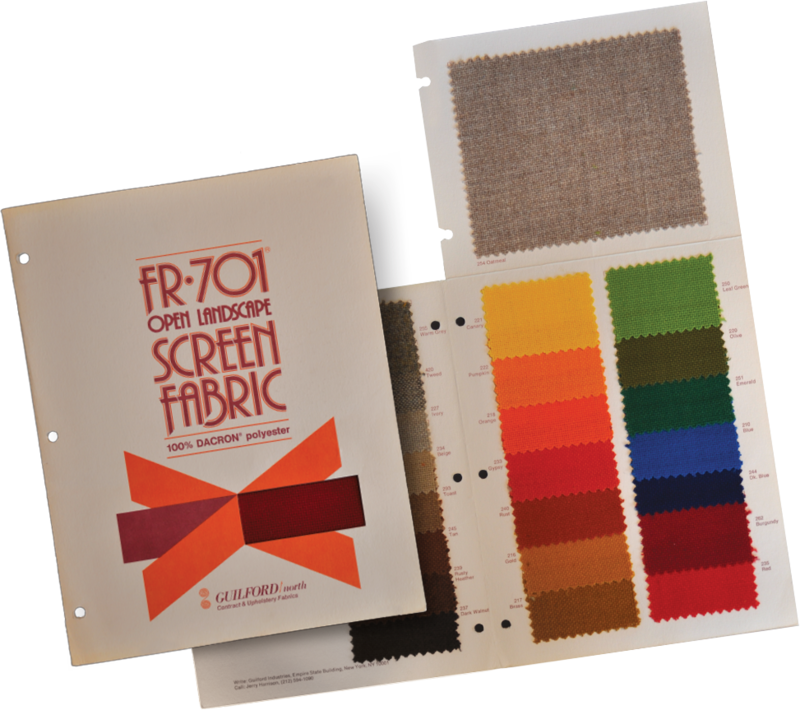 Renowned for its high performance and unprecedented durability, FR701 is a cult classic for the textile industry. Featuring impressive acoustic transparency, its 100% polyester weave is offered in a large palette of colors that meld into any environment. Drawing from the origins of our acclaimed FR701 that set an industry standard, the new FR702 and FR703 are brand-new extensions of our eminent classic. 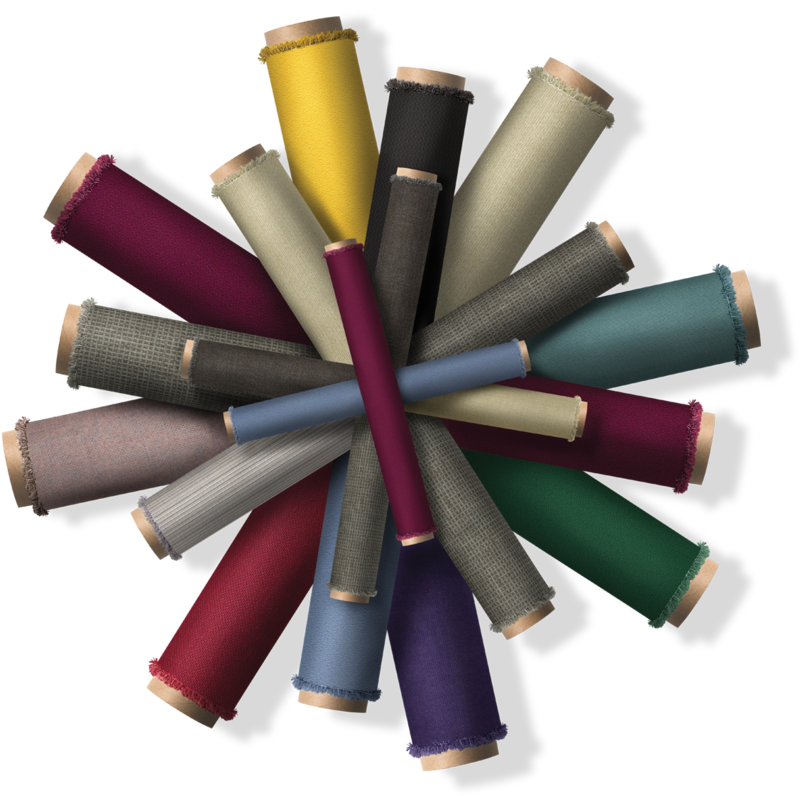 Emphasizing luxurious textures, the look and feel of wool, and cozy colors, these fabrics will inspire creativity and soothe the senses. Distinct yet perfect together, they are not only soft to the touch and appealing to the eyes but also impeccably designed for optimal noise abatement with a Noise Reduction Coefficient (NRC) rating of 1.00. When the acoustic performance of a space really matters, you don’t want to mitigate the properties of sound-absorbing panels, walls and ceilings by choosing the wrong finishes. In situations where acoustic performance is critical, a fabric’s job is not to absorb sound itself, but to allow sound-absorbing products behind the fabric to do their best work. The fabric should never impede or reflect sound before it travels to the absorbing product behind it. All surfaces, fabrics included, reflect sound waves to some extent. The least reflective products work the best as finishes for acoustic applications. Bringing the plaid upholstery trend to vertical surfaces, Crossings acoustic and panel fabrics feature a subtle grid design that enlivens large spaces. They also coordinate well with the small textures of many of our existing panel fabrics.